Here’s how to save money and energy with three nifty home draughtproofing products from the people that brought you the Ecoflap. All are available next day if ordered by 3pm. The Energy Saving Trust says the average UK household spends £1632 per year on energy bills. Estimates suggest up to 20% of a home’s heat loss can be due to draughts. 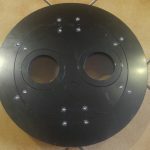 Using an Ecoflap, Letterplate or Petflap stops letterplate and pet door draughts, with all three products blowing more tightly shut in windy weather. Each degree above 21C costs an extra 10% on your heating bills. 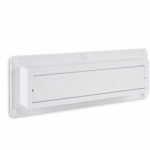 With thermostats often in hallways and near letterboxes, Ecoflap and Letterplates help keep the heating turned down. Ecoflaps and Letterplates help to retain heat for longer which reduces boiler ignitions, reducing maintenance and wasted energy. 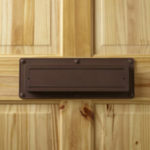 If you wish, you can keep your existing external letterplate as Ecoflaps fit discreetly on the inside of the door. They reduce noise from outside the house and won’t rattle and bang as deliveries pass through. Petflaps keep tails and paws safe: no nipping or catching from springs or hinges. 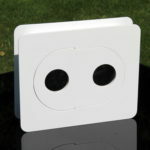 With a minimum of moving parts, a Petflap will last for years. Ecoflaps keep mail and fingers safe: no tearing or crumpling from springs, magnets or brushes. As there are no springs to weaken and no brushes to break, an Ecoflap will last for years. 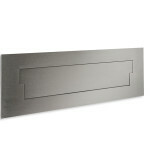 The Letterplate is made from corrosion-resistant 316 marine grade stainless steel and is guaranteed for 10 years.